Faulstick offers well and water treatment services to Saylorsburg, Monroe County, the West End and surrounding areas. At Faulstick, we are your one stop shop for all of your well, water and plumbing needs. From installs, to repairs and even inspections, our family owned and operated business will be there for you every step of the way. Faulstick is proud to uphold a reputation as the best, operating the right way with the customer in mind, every time. Graydon Faulstick found his passion in getting his hands dirty right out of high school. He began working construction and building in his teenage years while also working as a roadway and plumbing contractor on the side. Graydon enjoyed getting himself knee deep in the hard work and saw an opportunity that allowed him to take control over his destiny. Taking matter into his own hands, Graydon started Graydon Faulstick Plumbing. Working around the clock to build up the businesses, Graydon quickly made a name for himself. It wasn’t long before everyone in Saylorsburg, Monroe County, Carbon County and the West End areas knew his name. Faulstick expanded to a two person team when Graydon’s son, Jake Faulstick, joined the hustler. Growing up, Jake was always eager to join the family business and work alongside his dad to continue to build the Faulstick legacy. 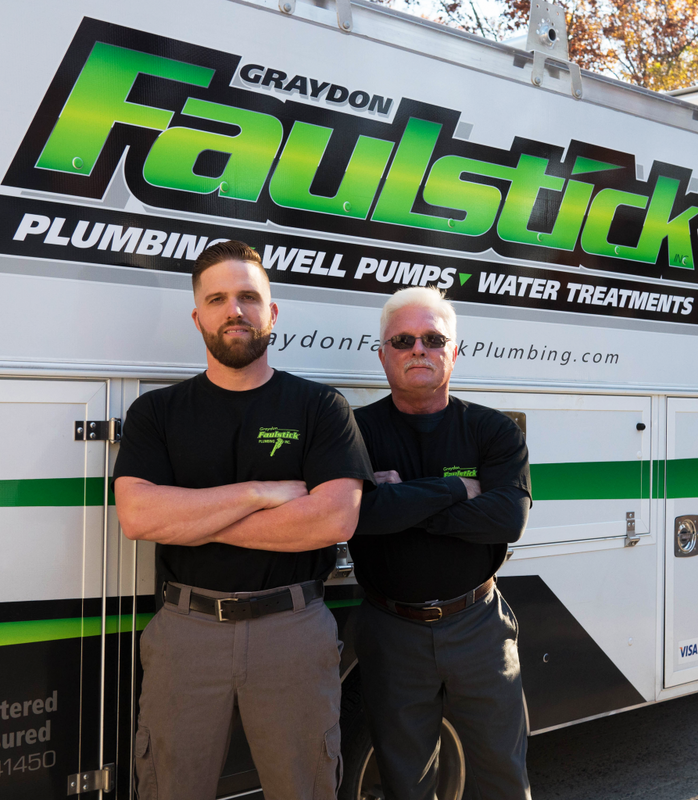 Together, with over 40 years experience, in well and water treatments, Graydon Faulstick Plumbing knows how to get to the root of the problem quickly and efficiently providing you with detailed explanation and knowledge every step of the way. When you have a well, water or plumbing need, you know who to call.